Benny and his sister Penny know it’s wrong to sneak into someone else’s backyard but their mysterious new neighbor—or is it a monster?—may be a thief. They go snooping and discover a lot about themselves and…a new friend. Bestselling children’s artist Geoffrey Hayes enchants early readers with his charming and subtle storytelling. In this lively caper, the artist’s small-scale mice take on large-scale issues with enormous comics mastery. Our Benny and Penny in The Big No-No! 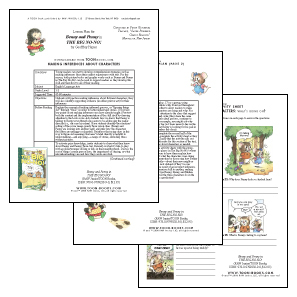 Guide contains a Lesson Plan and Student Activity Sheet to support standards-based instruction in the classroom. Our free guides are designed by a team of passionate literacy experts who specialize in classroom instruction for grades K-3. Make your own cartoon with CarTOON Maker! Interactive TOON Readers available in English, French, Spanish, Russian, and Chinese! 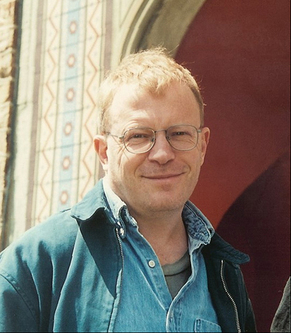 Bestselling author Geoffrey Hayes has written and illustrated over forty children's books, including the extremely popular series of early readers Otto and Uncle Tooth, the classic Bear by Himself, the Patrick Bear books, and When the Wind Blew by Caldecott Medal-winning author Margaret Wise Brown. His TOON Book series of Benny and Penny books has garnered multiple awards. In 2009, Benny and Penny in the Big No-No! received the Theodor Seuss Geisel Award given by the American Library Association for "the most distinguished American book for beginning readers published in English." "A perfect example of a graphic novel designed just for young readers...Children will connect with the realistic dialogue and page-turning appeal of the story. They will be thrilled to enter the world of graphic novels." "Young children will love the graphic-novel format and the sweet, charming illustrations will draw them into the narrative. Fans of Geoffrey Hayes's popular Benny and Penny in Just Pretend won't be disappointed with this sequel." 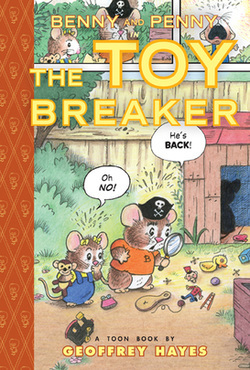 "In the second comic book-style title to star brother and sister mice Benny and Penny, the fussy duo track down a mysterious 'new kid' who may have climbed over the fence into their yard and stolen Benny's pail (a 'no-no'). 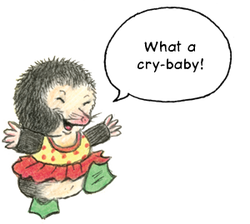 But when they meet the culprit (a mole in a polka-dot dress, green flippers and goggles), they re-evaluate the situation. Thought bubbles and dynamic expressions make the simple story come to life; early readers will easily identify the emotional states of the three characters and predict the playful outcomes." "Sometimes it is easy to get carried away and to do things that we later regret. In the heat of the moment we make assumptions that are incorrect, and we even hurt other people’s feelings. In this delightful graphic novel (or comic book) style title, Geoffrey Hayes explores how such misunderstandings can happen. In addition to telling a meaningful, and often gently amusing story, the author gives readers a tale that is perfectly suited to children who are just beginning to learn how to read on their own." "Benny and Penny in The Big No-No by Geoffrey Hayes is an award winning book for children in preschool and up! This adorable book about mouse siblings Benny and Penny follows their adventures as they suspect their new neighbor of being a thief! This book teaches all about making false accusations and the apologies that must come afterwards!" "This delightful tale is a TOON Book, one of a series of award-winning early-reading comic books. Benny and Penny learn that a new kid lives next door, but know that they are not supposed to go over the fence. When Benny peeks over and discovers that the new kid has stolen his pail (or so he thinks) hostility brews and misunderstandings ensue. While the message of the story is kindness and friendship, as well as following rules, the true pleasure come from introducing a new genre to your youngster." 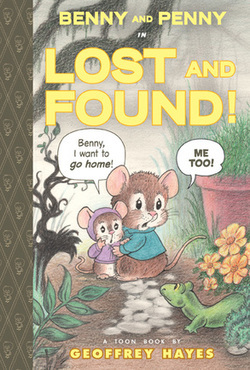 "This is more traditional storybook fare, done in a classic watercolor, 'cute animals' style that comes complete with a heartwarming moral about the importance of not jumping to conclusions... What I like about the Benny and Penny books is that they resemble actual kids, not just in their speech and demeanor but in the way they interact with each other. They're very recognizable siblings which will no doubt appeal to a lot of young readers with similar family structures." "Once again Toon Books have published a winner – literally. Benny and Penny in the Big No-No! is the winner of the 2010 Geisel Medal for beginning readers. 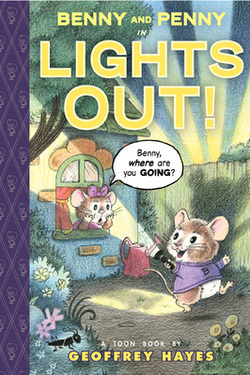 This is the second book in author Geoffrey Hayes’ Benny and Penny series. This simple graphic novel leads readers through a series of choices Benny and Penny make. Should they cross the fence into someone else’s yard? Should they take back what is rightfully theirs, even if it means facing a monster? Most importantly, can they admit a mistake? Beginning readers will enjoy Benny and Penny in all their adventures including the first book in the series, Benny and Penny in Just Pretend, and the upcoming Benny and Penny in the Toy Breaker." "Geoffrey Hayes is an excellent fit for the TOON line. The gentle line work has a warm traditional feel. Kids who dig the art of Beatrix Potter or Cyndy Szekeres would probably respond to this immediately. This isn’t his first Toon book and I hope he makes more." "The playground conflict of judging someone before you know them is sweetly and simply presented. Hayes' soft, colored-pencil artwork recalls a lot of the children's books I read as a kid--Beatrix Potter and Mercer Mayer are obvious ones, but there is some of the wholesome nostalgia of Tasha Tudor. This will become many children's favorite book." "The two, although mice, act just like kids. Benny's impatient with his younger sister, thoughtless about her wants and blaming her for his own forgetfulness... The drawings are simply lovely, beautiful to get lost in, and softly colored. They have a good sense of both action, capturing just the right moment, and character. A wonderful read." "This short adventure is full of little kid silliness, teasing, apologies and laughter. Check it out!" "In my house, all of the TOON Books are superb picture books that will some day become primers for my son when he is ready to read... What first drew me to Benny and Penny were the illustrations. The colorfully bright, softly shaded artwork reminded me of a cross between Beatrix Potter and the classic Tom and Jerry cartoons I watched as a kid. And, his pictures are filled with little details that kids will love, from the packing crate-pirate ship in the first book to the trail of broken toys in the third book, there is always something to seek out and inform the story that is unfolding... Hayes does a great job with his characters. Benny can be a bossy, know-it-all big brother and Penny can be a nosy, annoying little sister. But, the two can also be inventive, inquisitive, creative and always, by the end of the book at least, caring and connected." "The nice thing about this book is that it models good behavior—apologizing after being a jerk—without being preachy. For a pair of mice, Benny and Penny are surprisingly human. Benny puts down Penny when they are alone but sticks up for her when they are threatened; Penny sticks up for Benny as well; and their neighbor is appropriately startled and angry when Benny and Penny bust in and start wrecking things—but she’s also quick to forgive when they apologize. 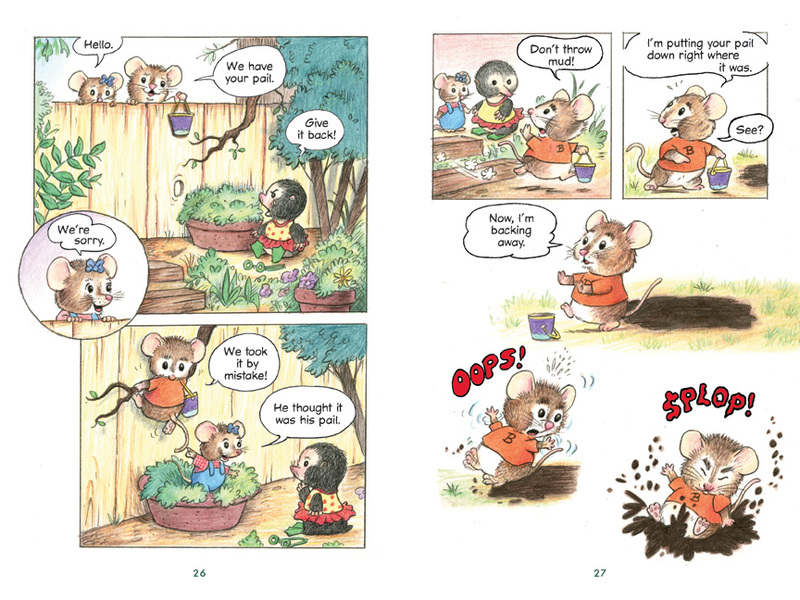 There is also an unspoken theme of acceptance of diversity: Melina, the neighbor, is a mole, not a mouse, and Benny and Penny refer to her as a 'monster,' but once they get to know her, they get along just fine. Benny and Penny is more than just a picture book with word balloons; Hayes uses the full comics toolbox, often stretching and shaping his panels and breaking the borders to help tell his story in subtle ways. His art, on the other hand, is not the bright, flat-color art of cartoons but has a lovely, textured feel to it, pastel without being washed-out. In fact, it captures perfectly the feeling of hanging around in your back yard on a sunny summer afternoon, which makes this tale a delight to look at as well as to read." "This particular book tells a story that children will easily relate to. Older and younger siblings alike will identify with the relationship between Benny and Penny, who are friends and playmates but do not always see eye to eye. They will get caught up in the story, which is told in simple, readable words for emerging readers - and has all the visual cues to explain those words that any new reader could desire - because it is not just a series of words from a word list arranged in a 'kind of' story, like so many beginning readers are. It is exciting, funny, and even involves a little mystery - just what did happen to Benny's pail?... That is the magic of graphic novels - kids pick them up willingly (as do many adults) - and what's better than graphic novels targeted at the younger set, to make the books even more appealing? Another thing I like about these books is that for kids who are behind their peers in reading skill development, it is less off-putting or embarrassing to read this kind of book around their friends than something clearly targeted at much younger children - their friends will want to read this too, just as my kids did, simply because it's such a good book. Hooray for TOON Books!" "Hayes makes his rodent characters come alive with a wide variety of expressions that draw the readers into the story. The restricted vocabulary makes this volume a very useful tool for emerging readers, while the fluidly rendered narrative with its occasional flashes of dynamic slapstick humor will delight all sorts of kids and introduce them to the delights of visual storytelling whether they are being read to or reading themselves." "Young readers will recognize the misunderstanding and the bad first impressions people will sometimes make as Benny and Penny--and Melinda-- learn a lesson about making friends. 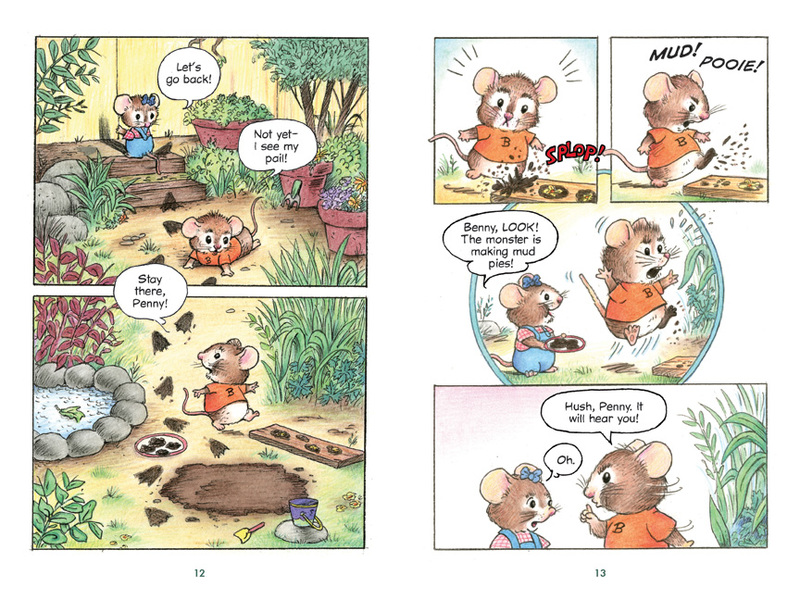 Hayes draws charming little animal children with highly expressive faces, and he uses great dialogue, easy-to-follow panels, and fun sound effects; children will repeat his muddy 'slop!' with gusto." "Hayes psychologically develops the suburban jungle masterfully, with a keen understanding that, to the small child, next door is as exotic as Inner Mongolia. 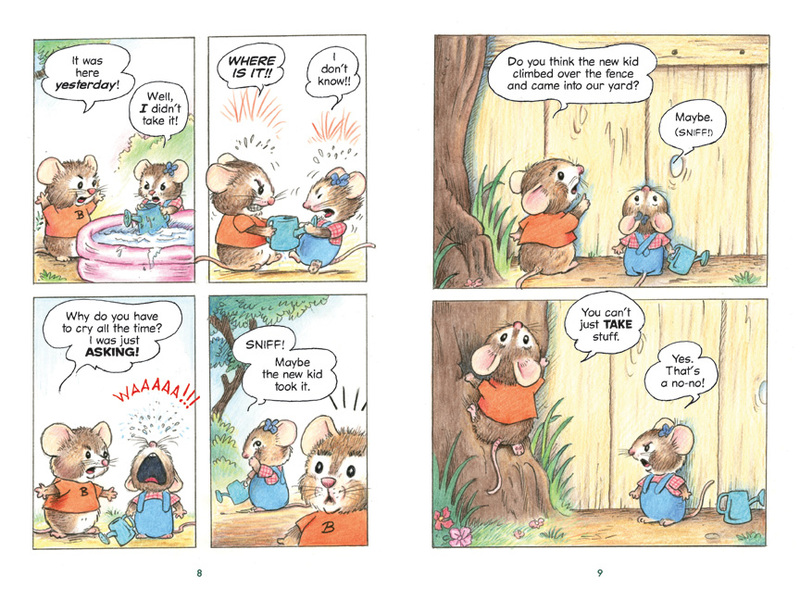 His sunny, detailed scenes tell the story in sequential panels, punctuated by the children's tearful outbursts, as stormy and temporary as summer showers. The illustrations provide just enough visual storytelling to allow emergent readers to focus on the dialogue, rendered in speech balloons, the standard vocabulary of preschoolers exactly in tune with readers' capabilities: 'You can't just TAKE stuff,' Benny says as he climbs; 'Uh-oh! This [mud pie] on the end is all broken!' exclaims the neighbor monster. Benny and Penny make agreeable protagonists, all sibling-squabbling when they're on their own but uniting against the depredations of the 'monster' and doing the right thing when it's called for." "A new neighbor. A case of mistaken identity. Some mud. A new friend. What I thought: Benny and Penny are such cute characters. They act exactly like brothers and sisters do. Loved the adventure they had in this book. Melinda (a mole?) is a great addition to the neighborhood. Not surprised that this won the Geisel Medal for 2010." "Just like the first Benny and Penny adventure this is full of lovely bits of fun between our two quarrelsome siblings, with the arguments ringing true each time between big brother and baby sister. And the clumsy and uncomfortable way that children make friends is played out perfectly between Benny and Penny and their new neighbour. It’s simple, yet a delight, with Hayes’ art firmly in the classic children’s illustration style. The TOON Books library is expanding rapidly into an absolute treasure for any bookcase and will be read and re-read long after your children pass the young age that these books are aimed at. My 9 year old has them all on her shelf and, although she’s far too old for them in terms of her reading ability, she’s never going to be too old for them in terms of their charm and capability to delight." "These charming handcrafted drawings give these stories a soft and sweet old fashioned feel and somewhat timeless quality to them. Both stories, Just Pretend and The Big No-No! capture with great accuracy the quick and sometimes bitter conflicts young siblings deal with many times throughout any given day. I think it is this that makes these stories engaging for the kids. 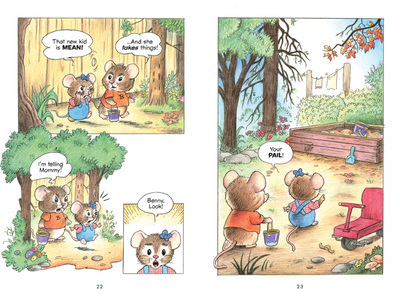 I think the kids actually connect with the characters in the stories, quite simply Benny and Penny speak directly to them often responding to situations exactly like a preschooler would, case in point, at one point Penny proclaims, 'I had to go pee-pee!'. Then again, there are the Vaudevillian prat falls and other physical humor peppered throughout these stories get a chuckle out of them and keep them turning the pages. It also helps that the panel-work of these junior comics is easy to follow, Hayes employs simple dialogue with proper doses of repetition and a well-chosen yet limited vocabulary to tell these simple stories... The timelessness of the pencil drawings and simple story make these Beginner Toon books very approachable for first time readers." "There’s something very comforting about the absolute best children’s books; even if they’re brand new, they can somehow make you feel like you’re back in your childhood, reading a book that you’d loved way back then. Over the years, a lot of children’s books have come across my desk, and ones from Toon Books (with their synthesis of children’s books and comic books) have been some of my favorites. With Geoffrey Hayes’s Benny and Penny in The Big No-No!, once again the rest of the world stopped as I sat down to read a truly excellent children’s book... Hayes really brings his two title characters to life in a way that makes you feel like you’re reading about actual children. The almost casual nature in which Benny and Penny get into a disagreement, complete with Benny making younger sister Penny burst into tears is a perfect example of that. You can see Benny’s temper rising as he can’t find his pail, even as Penny tries to be helpful. When he grabs onto her watering can and starts shouting, both of them seem almost hysterical; Benny because he’s a little kid who can’t find his toy, Penny because she’s being yelled at by her big brother. Benny’s response, 'Why do you have to cry all the time? I was just asking!' is the perfect half-apology, too. He knows he’s done something wrong, but he can’t bring himself to actually say that he’s sorry—he’s still worked up over his missing pail—so he deflects the blame in a dismissive manner, even though he’s trying to move on. The whole book plays to Hayes’s strength as a writer, getting inside the head of his fictional mice children. As an adult you can see where Benny’s leaps of logic are doomed for failure, but at the same time you can see just how Benny comes to those wrong conclusions. His fear of the 'monster' next door is great, and I love how Penny is young enough to be afraid of committing a 'no-no' even as Benny brashly pushes past those parental warnings. Even when Benny finally figures out what’s really going on, he still feels like such a kid; I love how he backs away slowly, even as he’s trying to make things right. And of course, it’s Penny who has to issue the actual apology. Best of all, though? Hayes’s art is nothing short of adorable. 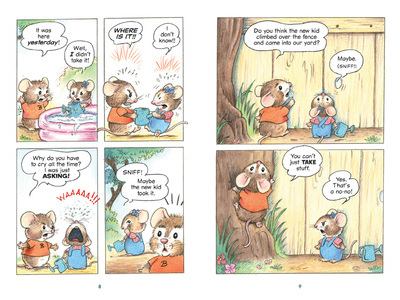 Benny and Penny are such cute little mice, and so expressive too. From Benny’s disgusted face as he shouts, 'Mud! Pooie!' to his angry look when he tries to get back his pail, he’s hard to not love how well Hayes draws them. I especially love the addition of Melinda; from her perky little nose to her goggles and flippers, I can’t help but be charmed by her every time she appears. Really, when you’ve got a mole in a yellow and red polka-dotted frilly bathing suit, how can you go wrong? Hayes’s art is gorgeous and something that I think everyone will love. Benny and Penny in The Big No-No! is another charming and attractive arrival from Toon Books. From the smooth cover stock and patterned book spine, to the interior pages themselves, it’s a beautiful finished product. 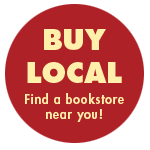 It’s definitely a book to be proud of as a publisher, or to cherish as a reader. Like so many other books from Toon Books, I’ll be giving lots of copies of Benny and Penny in The Big No-No! as gifts to younger readers. I know, though, that the parents reading along with their children are going to absolutely taken with it too. I know I was." 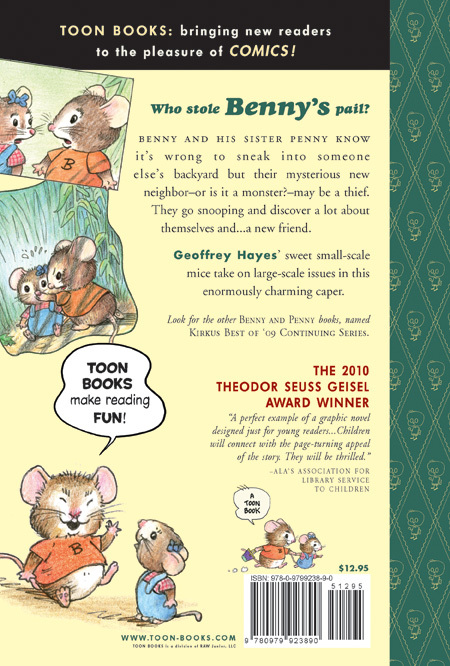 "First introduced in Geoffrey's Hayes Just Pretend, mice siblings Benny and Penny quickly earned rave reviews from Publisher's Weekly, School Library Journal, and Booklist which called Hayes' story of a sibling rivalry, 'a charmer that will invite repeated readings.' With The Big No-No! Hayes re-captures much of the same appeal from his early reader comic book while tackling new issues like wrong impressions and fear of the unknown." But, (insert angels singing here) . . . here came this amazing, beautiful, engaging book – The Big No-No! with a lovely message of friendship. Not only that, the characters really seem like actual kids that I’ve known." "Benny and Penny learn a valuable lesson about jumping to conclusions when they blame the new girl next door for committing a big no-no. This story is adorably drawn and well told....This book would definitely appeal to the kindergarten set." "Hayes does a marvelous job of highlighting the kind of incidents that seem small to adults but loom so large to children. Hayes' emotion-packed story is complemented by his expressive watercolor illustrations. 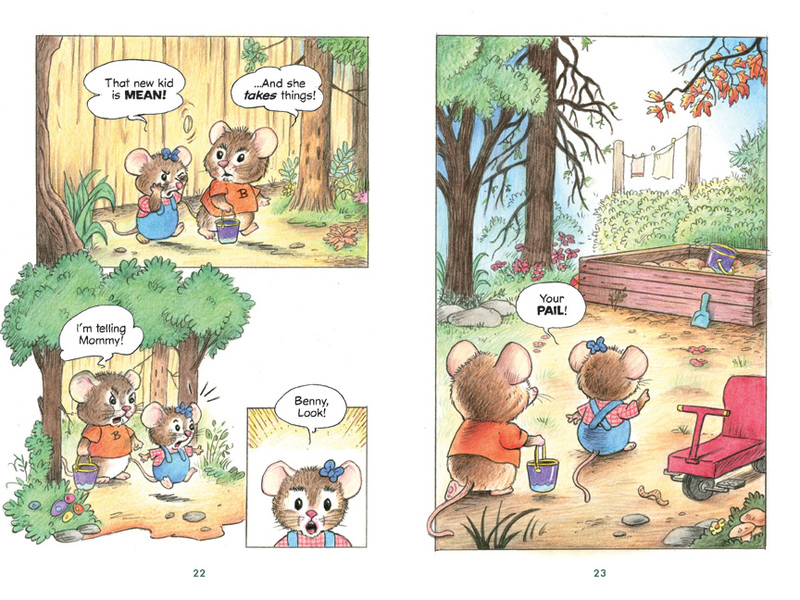 The charm of Hayes' watercolors, particularly in the way he details the world of Benny and Penny, is reminiscent of the books of Beatrix Potter. 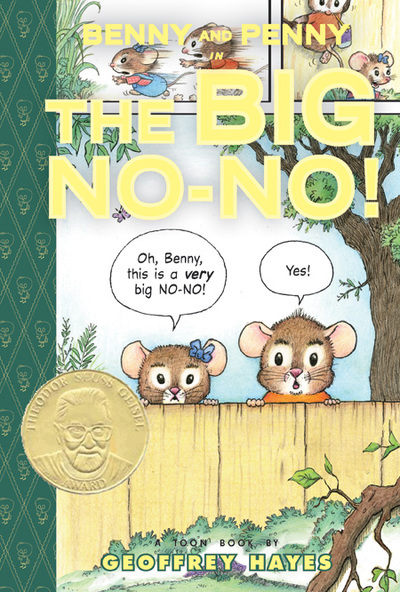 One more important note about Benny and Penny in the Big No-No!, as well as Little Mouse Gets Ready: Both books follow the TOON philosophy, which is to eliminate the frustration many beginning readers feel in trying to follow a story while sounding out the words. In most beginning readers, the text is paramount and the illustrations only provide strategic clues to the story. In TOON books, however, the illustrations come first and, as such, allow readers to understand the entire story just by 'reading' the pictures. The text, meanwhile, provides important details to flesh out the story told through the pictures. For many beginning readers, this idea of 'pictures first' gives them the confidence to try to navigate the text because they already know what the story is about."